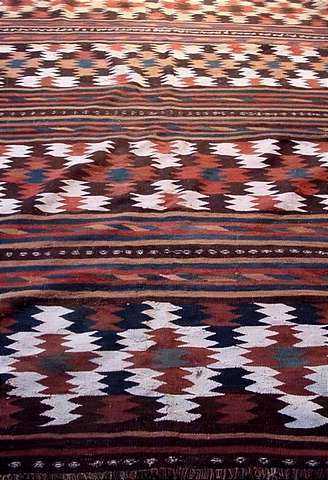 North Persian Kelim, dated 1901, (rewoven end and other small areas, small stain and crude repair), 11 ft. 4 in. x 4 ft. 10 in. 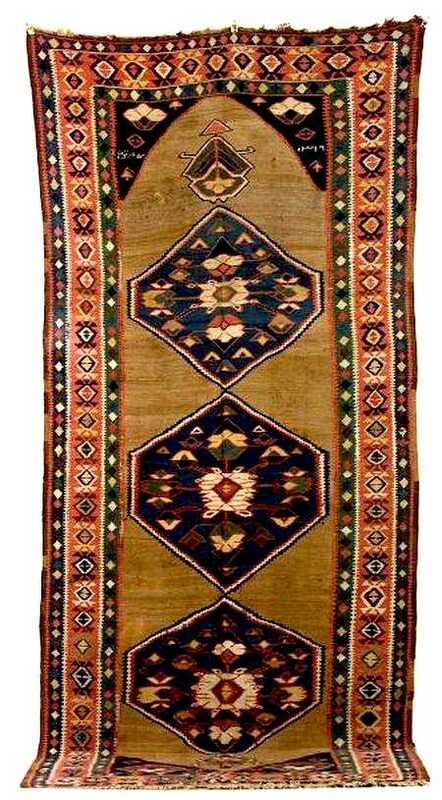 Title A semi-antique "eye-dazzler" Kilim, NORTHERN PERSIA. 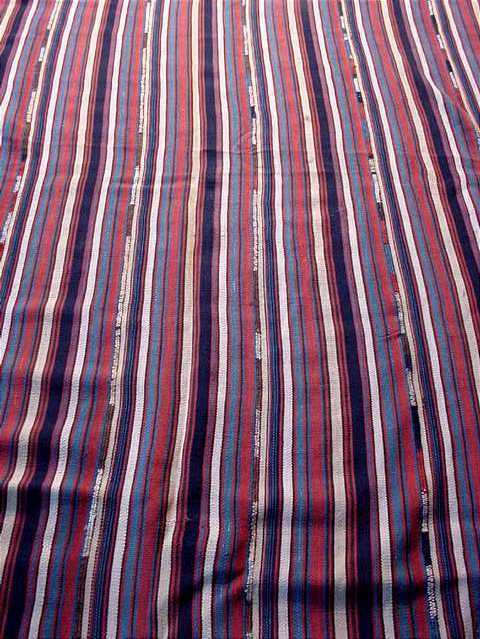 Title A semi-antique Kilim with stripes, NORTHERN PERSIA. 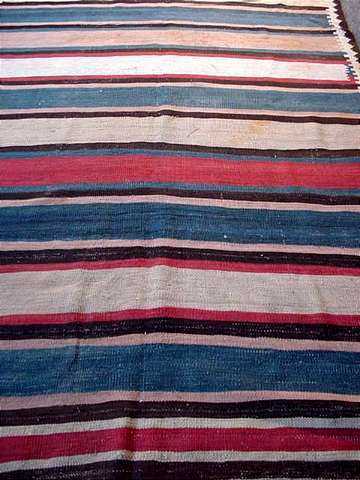 Title A semi-antique Kilim, NORTHERN PERSIA.